It feels like Fall here in Central PA! Mid-50 mornings warming up to high-60s are my kind of days. With Fall comes, Halloween and I’m a big fan! 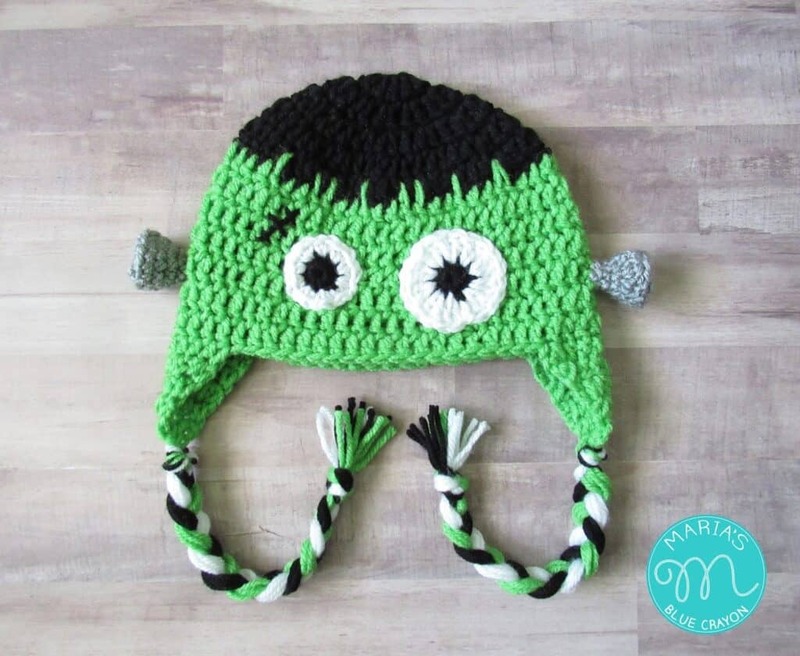 Years ago, I made my son a frankenstein hat and I even sold a couple when I was selling my finished items. I came across a picture and I thought – I should write up a pattern for that! 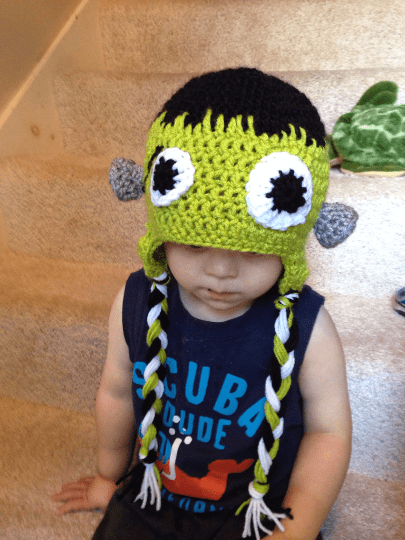 The pattern comes in the following sizes: 6-12 months, toddler, child, and adult. Be sure to look at the circumference in parenthesis to help you chose what size you will need. You can change up the look of the ‘hair’ by using more/ess spike stitches or making them randomly. I tried to keep it easy as possible by repeating a sequence for pattern purposes. Braid together and knot the ends. Hi there! What a cute hat! 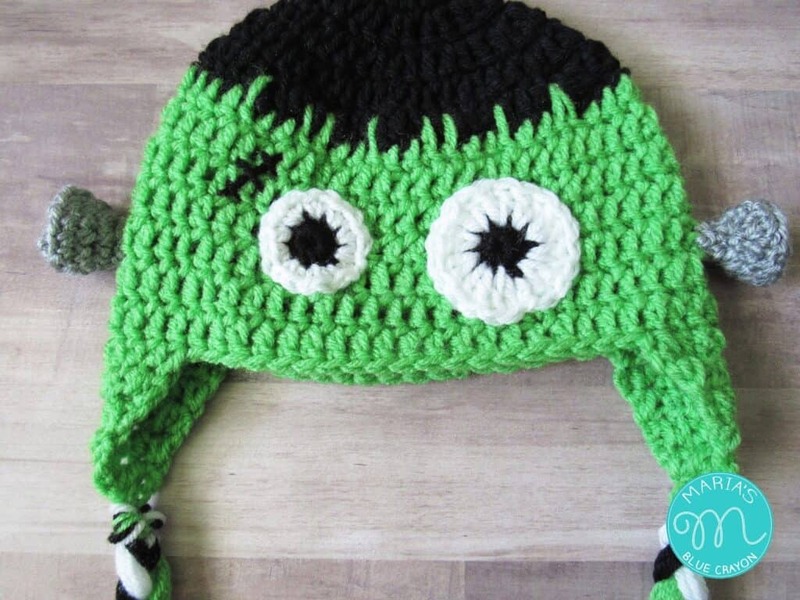 Would you have an idea how to modify your pattern to fit a newborn? Your guidance would be incredibly appreciated!